Well as my previous post suggests it was a bit cold in London this morning, I've personally don't think I've seen it so cold. I know it used to get colder up North but never in London. We cold snap has had a few unfortunate events like the trains being cancelled or the london underground service not having the trains in the correct places for the starts of shifts. 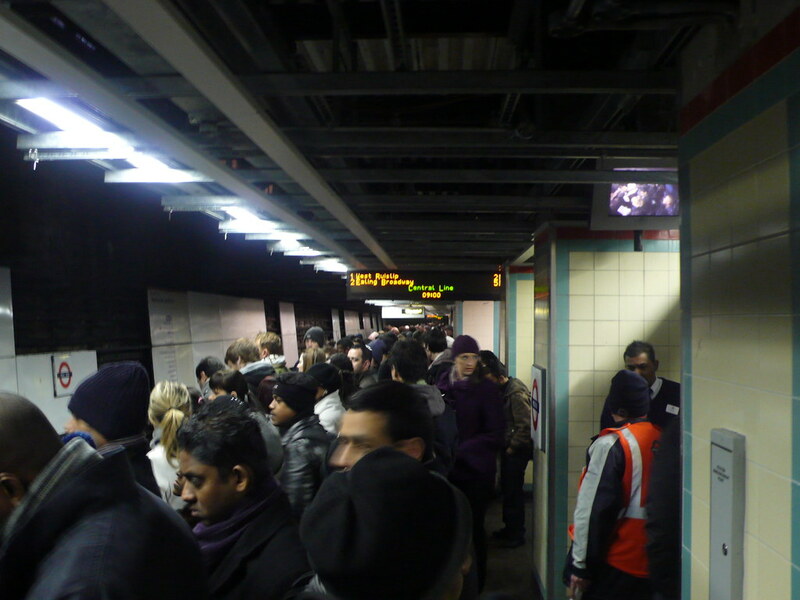 This was the scene at mile end on the central line platform this morning. The shot is of the bottom half of the platform and it was this congested all the way up. SoI did the sensible thing and took the Hammersmith and City line instead and got off at Euston Square. This means a walk down Tottenham Court Road into Soho so i decided to keep off the main drag and head around next to the University of London and down through Bedford Square. 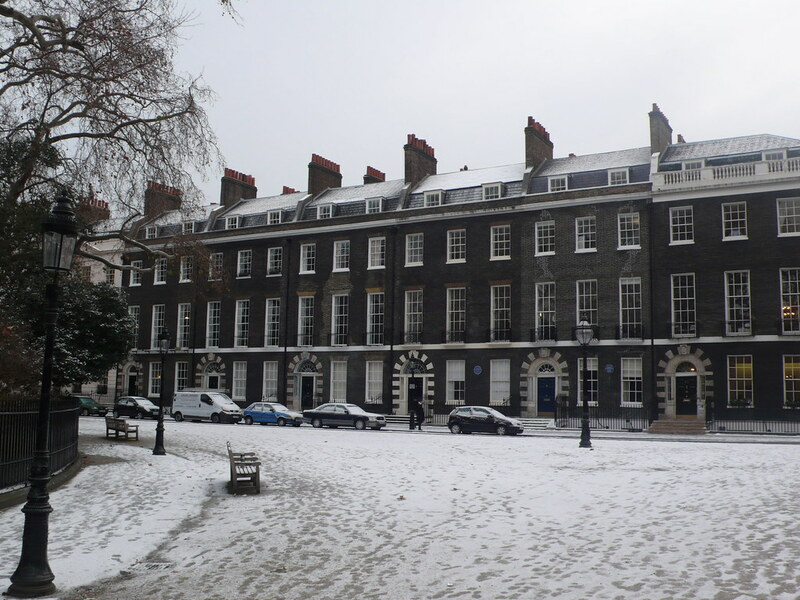 When I got to Bedford Square I was greeted with a road and pavement as a complete sheet of ice. So i gingerly walked around the sqaure to on the far side of the sqaure i took this photo. The shot reminds me of how lovely and timeless about London is, she may be a hard mistress but she's wonderful to me.